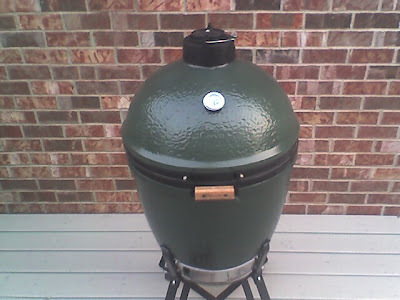 When I was a kid in L.A., my dad had an egg shaped grilling thing sort of like this. It was stone though, with a rack on top to grill, and down below was a hole to remove ash when done. Is that like this egg of yours?